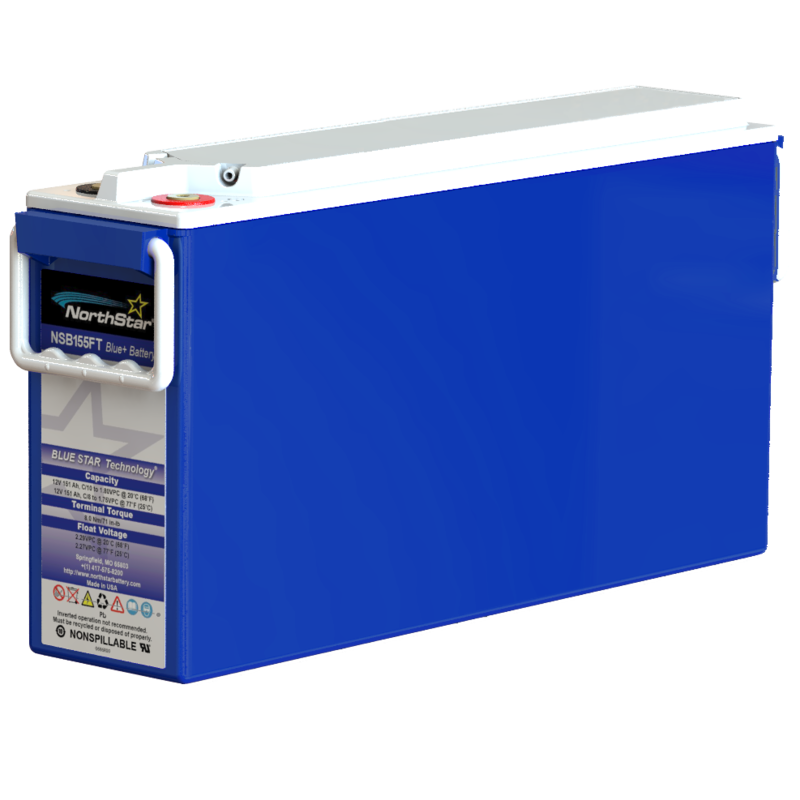 NorthStar’s NSB 155FT Blue+ Telecom batteries are ideal for use with very unstable grids and hybrid power systems. With superior partial state of charge cycling technology, the NSB Blue+ front terminal battery is designed to perform in the most demanding telecom applications. The proven performance of NorthStar’s Blue Star Technology is now enhanced to deliver more power, high cycling and fast recharge.